GREEN is the color and the word when we talk of St. Patrick's Day. Families everywhere have their own traditions for this delightful holiday. One that my neighbors incorporate each year is squeezing the juice out of fresh limes and using the cups to hold various desserts made with the freshly squeezed juice. I started experimenting with this idea myself. I found that tapioca pudding made with a little of the fresh lime juice, some extra sugar, and of course, green food coloring, was tasty and looked pretty in the lime cups. Lime custard also works well this way, as does vanilla ice cream balls that are topped with fresh lime syrup (tinted green, naturally). And of course there's the obvious filling—lime sherbet. 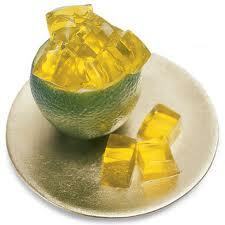 And one more fun idea: lemon Jello cubes—they make a pretty filling for the lime cup. 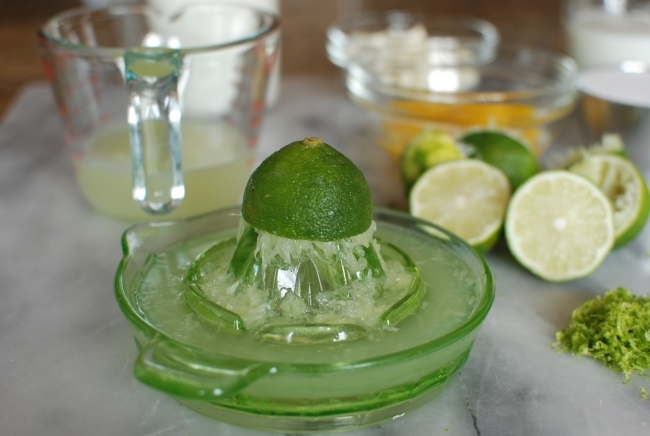 When we did this one year, we replaced the water called for in the directions with the freshly squeezed lime juice and we topped the Jello cubes with sweetened whipped cream that we tinted green. I've created a variation on this idea by chopping the set Jello and folding the whipped cream into it, then spooning it all into the lime cups and finally topping with more green whipped cream. But perhaps one of the best St. Patrick's Day treats I've ever heard of is individual small plates of green cookies, with the cookies sitting atop a bed of paper "greens." What was so special about that? 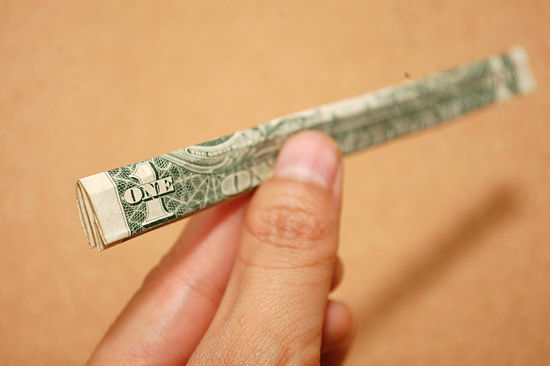 The "greens" were lots of one dollar bills, some folded into skinny lengths. And some lightly crumpled up, and all of them "tossed" onto the plates, arranged to look like a plate of salad greens. 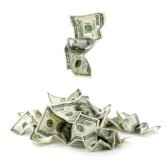 Karen, my neighbor that came up with this idea, said that each small plate held ten folded dollar bills. There were only four people in the family at the time, so this idea didn't break her bank. Everyone used their "greens" to go to a movie together. She says they still talk about that surprise to this day. 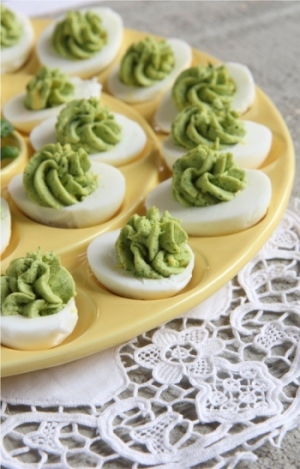 And of course, let's not forget the traditional "Green Eggs and Ham" touch. Thank you Dr. Seuss. Lots of eggy possibilities here, deviled being just one. But to close, one of our favorite St. Patrick's Day traditions is the green pizza pie. This has to be made with green pizza dough, topped with green tinted Alfredo sauce, diced green peppers, green olives, baby spinach leaves, diced green onions, asparagus pieces, fresh basil leaves, and white cheese tinted green. Served with green salad, a green drink, and some sort of green dessert, the meal is a huge hit. We would enjoy our green dinner while watching the movie, "Darby O'Gill and the Little People." 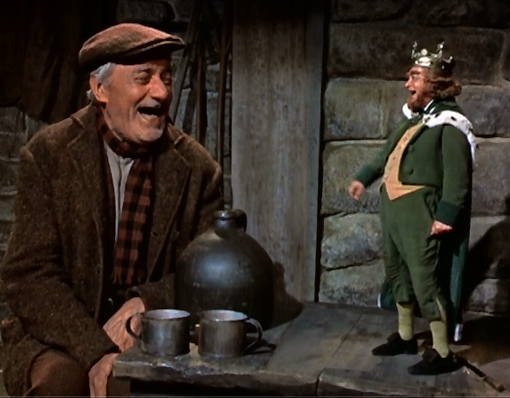 And when our kids were little, they loved to entertain us with dopey St. Patrick's Day jokes. For instance: "What's green and stays outside?" Answer: Paddy O'Furniture (one of my personal favorites). It's true that some of our traditions could be considered corny and some a lot of work, but all are really worthwhile if they build memories and serve to bond our relationships. And perhaps that's why St. Patrick's Day is so popular&38212;it's built around a lot of fun and time-honored traditions that make bonding so easy. So whether you give the lime cups, paper "greens," or any of the other ideas here or found elsewhere a try, just be sure to celebrate. And Happy St. Patrick's Day to you!